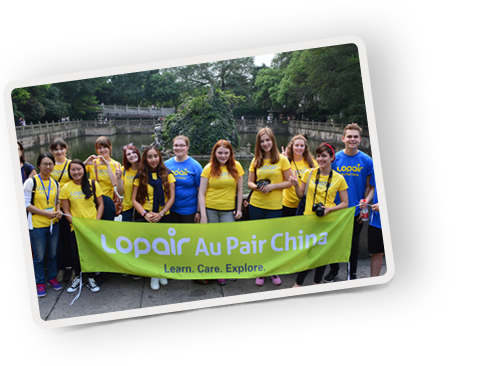 If you are a young adventurer between 18 to 29 (not having turned 30 upon arrival),at least a high school graduate or equivalent,and you are proficient in spoken English, just join LoPair and make an amazing experience in your gap year with LoPair! Apply now！And let's see how does it work. Application form: Fill out our online application form. Consultation: An International Partner (IP) or an Overseas Representative (OR) of LoPair will be in touch with you upon short notice and will arrange an interview with you. Pre-Screening: Upon acceptance following the pre-screening procedure, you will be provided with a set of program application materials by the IP or OR. Documents submission: Once your application is completed, you will be notified and will enter the Matching Pool, where your file will be circulated to several potential families. 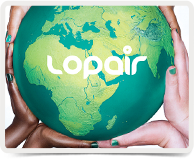 Mutual matching: LoPair or its IP will provide you with potential Host Family Profiles, one family at a time. Normally the potential Host Family will contact you shortly after you receive their profile via email, phone call, or video meetings. Confirming offer: You will have 48 hours to confirm if you would like to work with a potential family who decided to choose you as their new Au Pair.Normally the potential Host Family will contact you shortly after you receive their profile via email, phone call, or video meetings. Signing agreement: Once a match is made, you and your Host Family need to sign a placement agreement to finalize tasks and schedules during your stay. Visa application:LoPair’s IP or OR will provide you with visa application materials and hands-on guide. 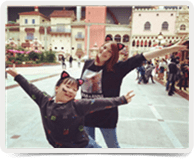 Pre-departure preparation: LoPair’s IP or OR will provide you with pre-departure materials to help you prepare for your stay as an Au Pair in China. 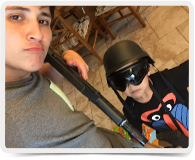 What is a typical host family like?